Skin can be a delicate business. Helping people look and feel their best is only part of it. A dedicated esthetician also understands how the health of your skin reflects your overall health. They can recognize skin disorders and problems, and help you achieve clearer, healthier, younger skin. If you are interested in becoming an esthetician, Iowa has many college programs, and cosmetology schools to help you on your journey, to this fascinating career. In Iowa, your journey to becoming an esthetician begin with a 600-hour course. More than half that time is spent on practical application of the theory you’re learning, covering makeup, hair removal, and use of the electrical equipment. Theory courses include anatomy and personal and professional development. Though Iowa doesn’t have an apprenticeship program, you should leave your program with all the technical and business know-how to help you get work and even help you build your own business. Before you start work, you’ll need to pass your written and theory exams. Iowa administers the NIC written exam online. You can schedule the exam yourself, or have your institution do it for you. There is no practical exam. You send away your exam results, and submit your application. Your education provider will submit your official transcripts. These have to come from the school. They cannot come from you. 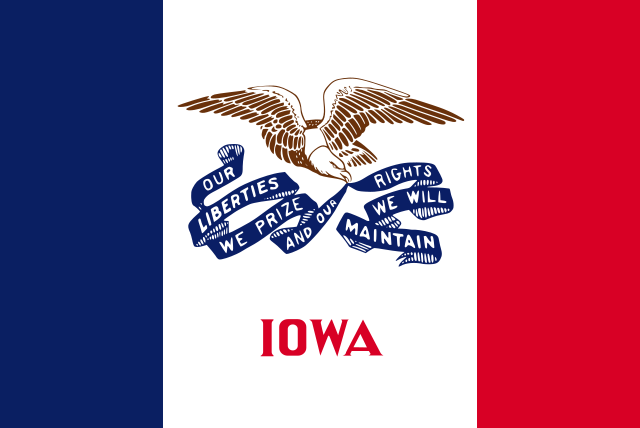 If you’re currently holding an active out-of-state license, or you have held one for a 12 month period in the last 24 months, you are eligible to have your licensed endorsed by the state of Iowa so you can work there. You’ll need to submit your passing scores, and official school transcripts, as well as verifying your last license. The renewal cycle for Iowa’s State Board is every two years. The date of renewal is March 31st. To renew your license, you need to complete eight hours of continuing education. In this case, that means two hours spent on Iowa’s rules and regulations, and at least four hours specific to skills. The other two hours may be spent at trade shows, safety training, or even business courses. Skin care is a growing field across the country, and Iowa is no different. With a variety of medical offices looking for specialists in skin care, you are sure to find rewarding employment. If you’re looking more at the beauty industry, Iowa has a variety of salons, makeup and product representative jobs to keep you growing and learning, and making others feel beautiful. You can even specialize, and apply for a certification to perform laser therapy at your own salon or clinic! Also see our cost of training for esthetics page to get an idea how much your training will be. Other Iowa schools for nail techs, barbers, cosmetologists and makeup artists. Did we miss any Iowa esthetics institutes? Please contact us to let us know.